Photo by Russell Johnson, courtesy of Museum of Glass. Cultural, Science and Heritage organizations help make Washington State a great place to live, work and play. Whether you are visiting an aquarium, attending a play, or learning about the history of your community at a heritage museum, you are benefiting from access to cultural experiences. Access to cultural experiences advances education, enhances the economy, enriches our quality of life and strengthens our communities. Cultural experiences have the power to transform lives. Cultural Organizations may become Members of Cultural Access Washington. Their member dues fund activities to create a Cultural Access Program in their County. Passed and signed into law in 2015, the Cultural Access Program authorizes any county in Washington State to put before the voters a measure to provide sustainable funding to increase Access to Cultural, Science and Heritage organizations in that county. Consider making a contribution to Cultural Access Washington to fund creation of a Cultural Access Program in your County. Active campaign organization is underway in King County aiming for the 2017 elections for approval of the program in King County. Your support would be most appreciated. 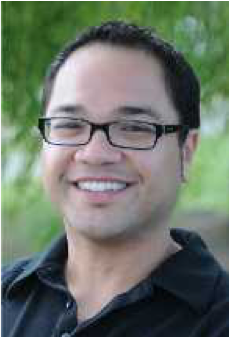 Manuel R. Cawaling has been selected as Cultural Access Washington’s (CAWA) Executive Director, the CAWA board announced today. Mr. Cawaling will take his new position on September 17, 2018. He succeeds James Kraft, who has served as CAWA executive director since May 2016. Please help us in this effort!